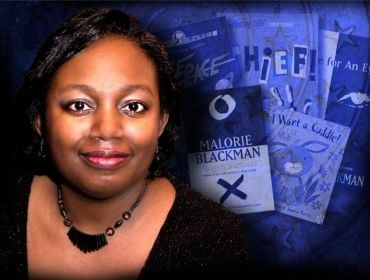 Malorie Blackman, author of the ‘Noughts and Crosses’ series and many other teen novels is the new children’s laureate, taking over from Julia Donaldson. The Children’s Laureate is a special job for one of the country’s very best children’s writers or illustrators and gives them a chance to speak up for young readers. Only the most talented of children’s authors get the opportunity to be the children’s laureate, with the past ones being Quentin Blake, Anne Fine, Michael Morpurgo, Jacqueline Wilson, Michael Rose, Anthony Brown and Julia Donaldson. During her acceptance speech, Malorie outlined some of the things she has lined up for her two years as laureate. Her main aim is to “get more children reading more” and is keen to promote diverse genres and forms as she’s a big fan of comics and graphic novels, therefore she’ll be highlighting those, as well as short stories. She’s also a huge supporter of libraries and wants to make sure that every kid in the country has a library card. If you are unaware of her work, you may be interested in reading the first chapters from her most famous book, ‘Noughts and Crosses’, and her most recent book, ‘Noble Conflict’. What are your thoughts of the children’s laureate and the work they do? 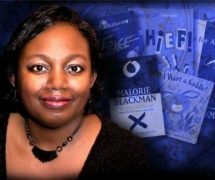 Want to congratulate Malorie Blackman? Share what you like about her books? Email your comment to childrens.books@guardian.co.uk with ‘Malorie’ in the subject line. Or, why not drop a comment below?